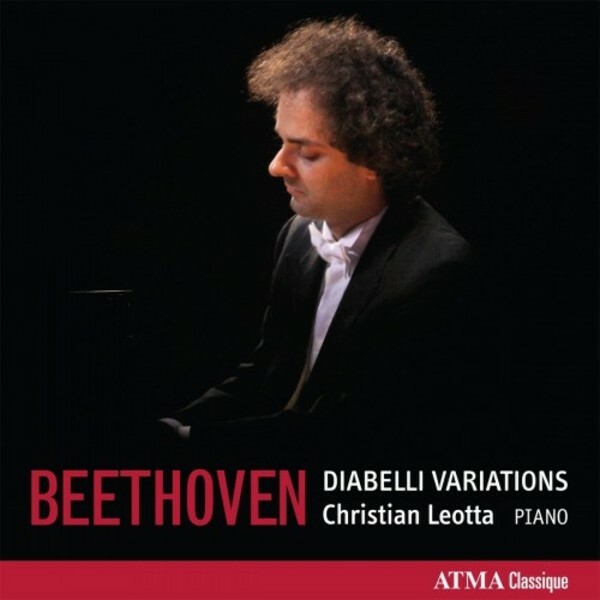 Italian pianist Christian Leotta returns with Beethoven’s Diabelli Variations. These Variations were composed on a waltz written by composer Anton Diabelli, who instantly recognized “the novelty of their ideas, care in working-out, and beauty in the most artful of their transitions”. Christian Leotta’s affinity for Beethoven's music has been unanimously recognized by critics, who praise 'his prodigious technique' (The WholeNote), and 'his capability of really seizing your attention at unexpected moments' (All Music Guide). Leotta has established a reputation as 'a pianist of the highest order: technician, musician and interpreter all at once' (La Presse).